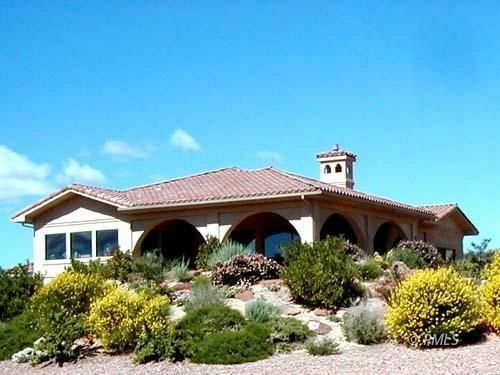 This 2,871 SF Southwestern home built in 1998 enhances the natural surrounding of Lake Powell. Walk up the flagstone sidewalk to the entrance (which is connected to a 750 SF covered outdoor living area) and into the elegant foyer. This area flows either into the 2,148 SF of welcoming space comprised of the living, dining, kitchen area or to the bedroom areas. The 10' ceilings & large banks of windows make the home seem even larger than it is. The living room has a fountain area, built in propane fireplace/entertainment unit and a wall of windows which are not only welcoming but brings in the wonderful views of of the Lake Powell area. The kitchen has custom cabinets, large windows, tile counters and a oversized eating bar. The master suite again has the window wall and a large bath area. The other two bedrooms each have their own bathroom. The large laundry/craft room and fourth bedroom w 3/4 bath are in the 723 SF lower level. Garage is oversized (928 SF) & there is an Boat pad.